If you're keen, you'd better move quickly. It's a pretty well-known fact that Marks and Spencer love a cult piece, right? Remember THAT that was everywhere in summer? You couldn’t scroll through your Instagram feed without spotting at least two people rocking it. Savvy shoppers were sent into a major frenzy over it; it flew off the shelves in record speed. When M&S featured it on their Instagram feed, it quickly racked up 5,000 likes with so many comments. Well, they’ve only gone and done it again. M&S has released the midi skirt version of the yellow animal-print dress, and by the looks of it, this piece is set to be another wardrobe winner. , which is pretty decent if you ask us, it’s A-line, midi length and has already sold out in sizes six and eight. Customers who have already bagged it headed to the M&S website to sing the skirt's praises, with one shopper writing: "Very flattering cut and drape. Good colour and will be easy to dress down with ankle boots and jumper or dress up with heels and blouse - what’s not to love." Another added: "Praise be! A fantastic print, flattering shape, great length." Another shopper exclaimed: "I love this skirt! Saw it on Instagram and wanted to try it. 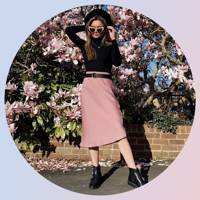 I struggle to find a midi skirt, being short and while petite don't have much of a waist! It suits my 5'2 height, looks great with trainers and a t-shirt or more dressed up. 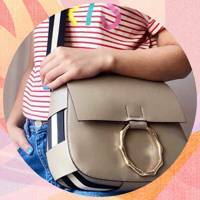 I love that it has an elastic waistband, I could have sized down." Shoppers have scored the skirt a 4.5 out of 5, and we can totally see why. It’s silky, super flattering and taps into the animal print trend nicely – it’s basically the skirt of dreams. If you’re keen to get your hands on one, we suggest you move quickly.